Last Friday Civilian Art Projects opened two shows with new work from photographer Marissa Long and painter Nikki Painter. The artists’ works complemented the other’s use of intricate details and bold colors to create a wonderful and seamless transition between the three gallery rooms. Marissa Long’s first solo show brings together unique assemblage photographs that lace animal and other biological items like clam shells and fruit, with domestic entities like candles, sponges and baking liners, creating new and imagined singular characters. 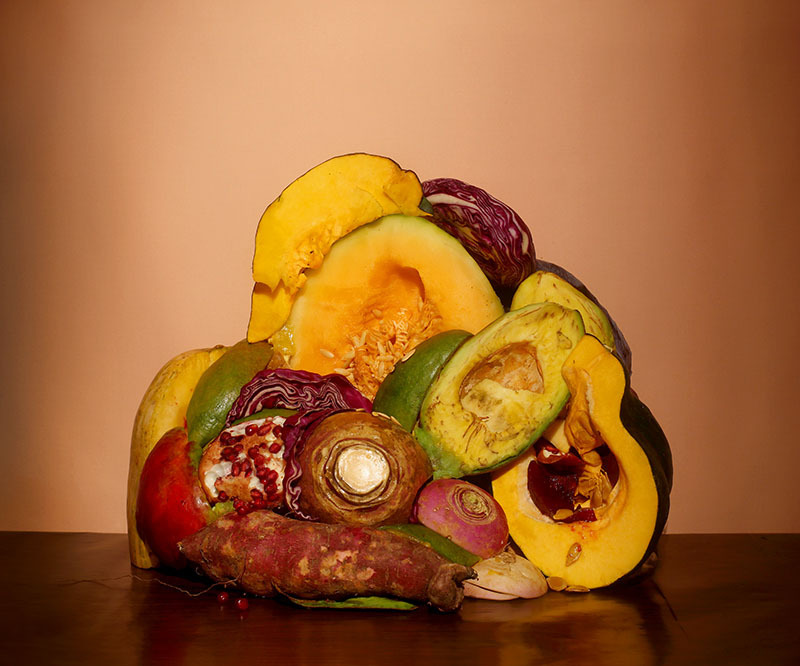 Long writes in her artist statement, “These photographs combine organic matter, food, household items, and animal parts into pile-like identities. Simultaneously whimsical and dark, the forms speak to bodily existence and its remains; desire, revulsion, and the banal made sacrosanct through the act of display.” While somewhat unsettling, the colors and careful arrangement draw the viewer in, dissecting as organisms. Her work breathes notions of the human condition and contributes to a discourse about what can be new, or renewed in the world of art photography. 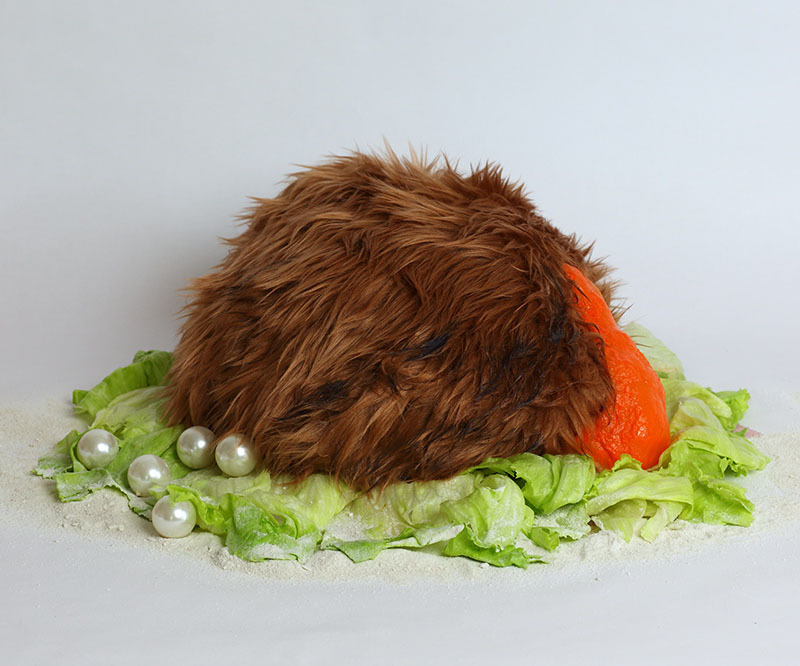 Using her artful skill of lighting, her still-life formations become specimens on a table for studying, bringing to question life and death, blurring the lines of what is real in nature. Civilian Art Projects is located on 1019 7th Street NW Washington, D.C. 20001 and is open Wednesday, Thursday, and Saturday from 1pm to 6pm and by appointment. Offerings is on view until October 19th.